THE suicide rate in Londonderry is 38 per cent higher than in the Western area generally whilst data from the city has led experts to declare a ‘crisis’ in young male suicide and demand additional professional provision for those contemplating taking their own lives. A new report by the Men’s Health Forum Ireland (MHFI) says that amongst men aged 15-34 suicide is the principal cause of death in Ireland. The authors Noel Richardson, Nicholas Clarke and Colin Fowler, however, report that across the western area rates of deliberate self harm (DSH) have decreased generally. 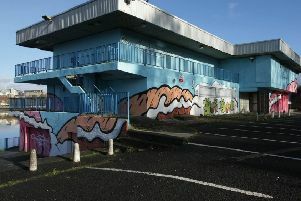 Significantly, however, they write that the experience of experts and health workers in Londonderry has revealed a “crisis” in young male suicide. Referring to a recent academic study on the phenomenon the report states: “An analysis of suicide data in Derry/Londonderry identified a clear pattern of increase in young male suicide, and led the authors to conclude that there was ‘a crisis’ in young male suicide in Northern Ireland that demanded additional professional support services for those contemplating suicide. Elsewhere, in the report on the All-Ireland Young Men and Suicide Project, which was published last week, it’s revealed that the recording of DSH in the Western area revealed a drop of 13.2 per cent in the rates for males and 16.1 per cent for females. “However, peak rates in males - like those recorded in the Republic of Ireland - show that 20-24 year olds are most at risk, and have higher rates than their female counterparts,” the authors state. Despite this drop, Londonderry, where high suicide rates have been a persistent feature for years, has worse rates than elsewhere. “Notably, the rate in Londonderry was 38 per cent higher than in the Western region as a whole; with male rates being almost double that of the other neighbouring districts of Limavady, Omagh, Fermanagh and Strabane,” the authors state. Grimly the report points out how most people in Ireland kill themselves by hanging, followed by firearm use, drugs and jumping. “In a study of suicide methods in Derry/Londonderry, Northern Ireland, it was found that hanging was the most frequent method of suicide among 20-29 year olds,” the report states. “Across Europe, hanging is also the most common method of suicide; with 54 per cent of males and 36 per cent of females using this method. Hanging is a highly lethal method of suicide. Studies have found that around 70 per cent of attempted suicides by this method result in death per cent,” the authors add.